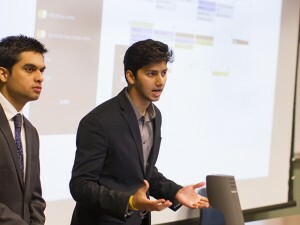 Devils Connect co-founders Devesh Tuteja (left) and Yash Lalwani (right) present their startup to fellow students. Photographer Jessica Hochreiter/ ASU. Yash Lalwani and his friend, Devesh Tuteja, have been working on Devils Connect since last year. The pair said that, through Devils Connect, students can meet and work with others in their classes. They point to studies that show greater retention rates for students who find these kinds of connections. Students sign up with their ASU email and enter their courses and address. All address information is kept confidential for safety reasons. Students are then connected to a study group, or clique, of four other students who share several of their classes and live in close proximity. Devils Connect also has forums for students to discuss assignments, and a calendar where students can enter important dates, like tests or project deadlines. This calendar is collaborative and shared among classmates. Devils Connect allows students to create a calendar for their organizations and manage meeting times using the various features. The team now is working on an app for mobile phones and tablets. Devils Connect does not carry advertising, nor send unsolicited emails to students who join. Subscriptions, which are free, have grown from 140 students in the test group last year to more than 2,400 today. Lalwani and Tuteja, a business finance major in the W.P. 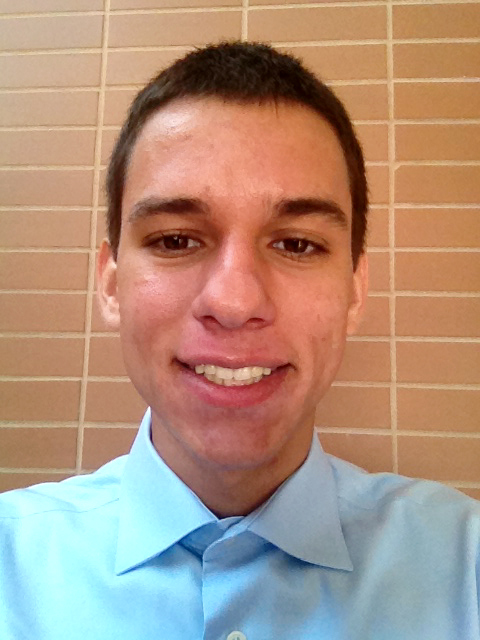 Carey School of Business, got advice from another engineering student, Jared Schoepf, a finalist for Entrepreneur Magazine’s College Entrepreneur of the Year last year for his team project, SafeSIPP, a portable water purification system. 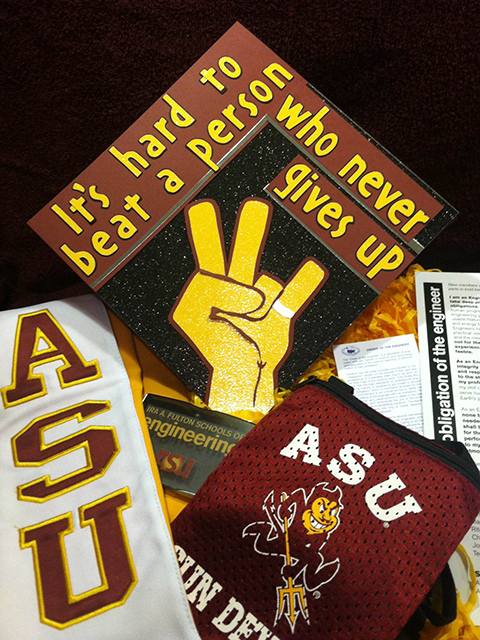 They also have received advice from ASU faculty mentors, including Matthew J. McCarthy, a lecturer in information systems at the W. P. Carey School of Business; Gordon McConnell, association vice president of research and leader of the Entrepreneurship and Innovation Group, and Ivette Chavez, director of University Academic Success Programs. Lalwani said they are focusing on signing up freshman, with the belief that the students will continue to use the service throughout their academic career. They are applying for up to $20,000 in funding from the Edson Student Entrepreneur Initiative, which seeks to encourage entrepreneurially oriented students to develop and grow new ventures based on their own concepts. The pair recently received $2,500 through the ASU Innovation Challenge, which provides up to $10,000 to undergraduate and graduate students dedicated to making a difference through social innovation. They hope that, with funding, they can grow the service in five years to serve universities and community colleges across the country. You can find Devils Connect at http://devilsconnect.com/ and on Facebook.